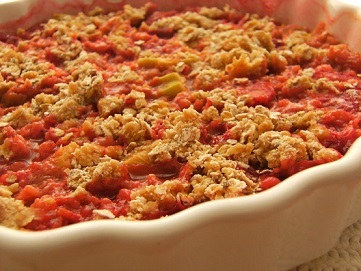 It doesn't have to be a holiday for you to make this delicious Strawberry Rhubarb Crisp. Just by making it, the day becomes special. And of course you can make it extra special by topping this favorite restaurant dessert recipe with whipped cream or ice cream! Note: Because ovens vary, check the cooking progress of the dessert after 25 minutes. Enjoy your delicious dessert and the company of those you share it with! 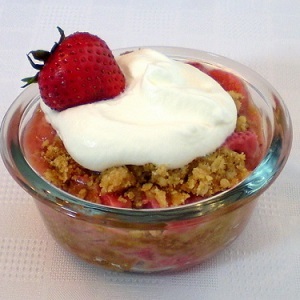 It is a favorite restaurant dessert recipe.